2017 promises to be an interesting year in real estate. 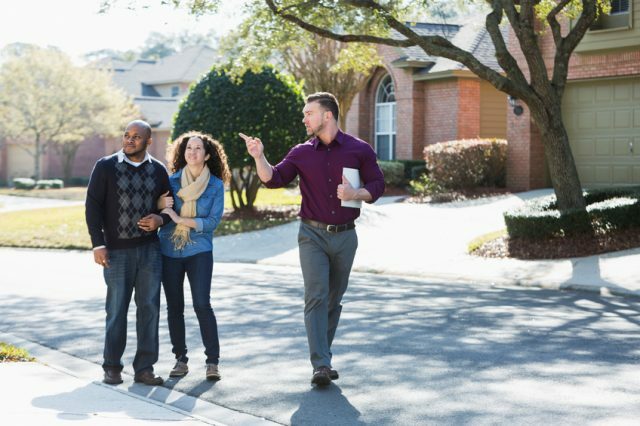 Facing the Millennial Effect, interest rate questions and economic changes, it’s important for REALTORS® to devote time investigating both their state and local real estate trends as well as the national factors determining 2017. Below are four promising trends that will shape the market this upcoming year. As millennials get older, they are increasing home ownership rates faster than in previous years, according to research from Fannie Mae. Millennials have overtaken baby boomers as the largest generation in the U.S. and many of them entered their post-college years during one of the toughest economic periods in decades. For years we have heard the joke about the number of them living at home with their parents. For a while this was true, but the economy has improved now and with jobs seemingly more abundant, millennials are coming to the real estate market. First-time buyers are a driving force for a healthy real estate market and millennials are starting to buy homes. They are starting to age into a group primed for home ownership and many of them are in better positions financially because of years of saving and living in "the basement.” This influx of new buyers and increased demand is likely to lead to a strong 2017 market as they seek to take advantage of low interest rates. Will rates go up? This question will push many people into the buying decision. The reality is, this has been the same question at the end of each of the last three years, but eventually they have to go up…right? Not necessarily. In fact, we may experience low rates for many years to come. They may rise, but the rise is likely to be gradual overall to keep the economy from hitting another recession. The fear of high rates will continue to create a sense of urgency as many people look for a better option. The low rates mean it is still cheaper to buy than rent in many large real estate markets. With so many homeowners locked in at extremely low interest rates many are choosing to remodel their existing homes instead of move. That has also meant a lower supply of homes available for first-time buyers. The question many people are facing is whether or not they should spend the money remodeling, or take advantage of their increased equity and buy their long-term dream home. Space and location are typically the deciding factors when considering a move. The biggest increase in prices has primarily taken place in “starter homes” or homes more easily financed for first-time or middle income buyers. Higher priced homes and luxury homes in many parts of the country have not experienced as large an increase in prices. This gives many homeowners the increased financial leverage to purchase their dream home with a larger down payment, low rates and a payment they are comfortable with. The tight supply of homes in many hot markets is making the stress of buying and selling higher than normal. The limited number of homes and a competitive environment means that many homeowners are afraid to sell for fear of having no home to buy. Many sellers are looking for non-contingent offers, meaning the buyers do not have a home to sell. Even if their home is under contract they might get passed over for a buyer without a home to sell. This increased pressure makes many potential home sellers decide to stay put. This gap will likely keep inventories low and continue to push prices higher. There are so many factors—nationally and locally—that can affect the real estate market. Considering all factors for your real estate market and larger trends will help you make the best informed decision. This is the most important: There are so many factors—nationally and locally—that can affect the real estate market. Considering all factors for your real estate market and larger trends will help you make the best informed decision.